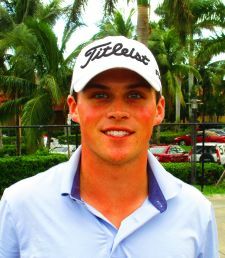 WELLINGTON, Fla. – Gavin Hall of Pittsford, NY, made four straight birdies, and five in six holes, Monday at Wellington National Golf Club and it led to his first victory on the Minor League Golf Tour. Hall scored a four under par 68 to collect $900 from the $4,455 purse, raising his career earnings to $7,591 since he joined the MLGT in September, 2017. His card showed seven birdies, one at the 11th hole and then Nos. 13 through 16. He also had two birdies on the front as well as a double bogey at the par-5 second hole and a bogey at the par-4 ninth. Tied for second at 69 among 34 starters on the MLGT’s 12th tournament of the year were Joaquin Lolas of Juno Beach, FL with three birdies; Brandon Lacasse, Lake Worth, FL, six birdies, a bogey and a double bogey; and Al Dickens, Charlotte, NC, seven birdies, two bogeys and a double. The tournament was a tuneup for the Honda Classic pre-qualifier here Feb. 21. Open qualifying will follow Feb. 25 at Banyan Cay in West Palm Beach, and the main event Feb. 28 - March 3 at PGA National in Palm Beach Gardens. 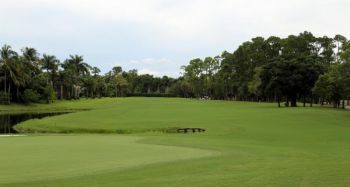 The MLGT hosts the 54-hole Sunshine State Classic on Wednesday through Friday on the West course at Fountains CC in Lake Worth. 50% of the field earns a check. Come play a 1-day tournament on the course that is hosting the Honda Classic Pre Qualifier on Thursday February 21. You do not have to be playing in the Pre Qualifier to play in this event.